To many, this volcano cake will seem like a plain, extremely basic cake. But my godson, my kids, his mom, and all of his friends loved it. I have a passion for baking, and while my cakes may be simple and homemade, they are made with love. 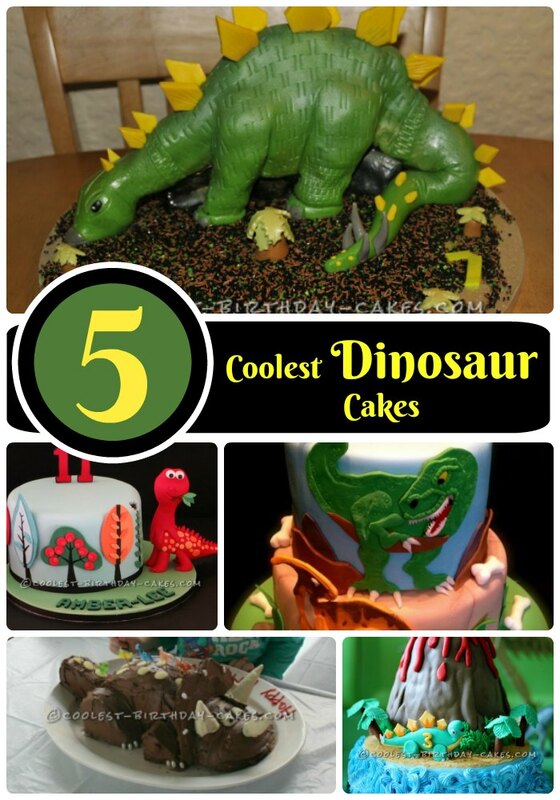 My godson wanted a dinosaur cake and I was determined to give him one. I started with a 9 x 13 sheet cake. After allowing it to cool completely I iced them butter yellow cake with a marbled green background. I purchased cake pans that are meant to be little baby dress bottoms. I used a medium brown and covered the upside down barbie gowns. I used a bright orange to pipe in magma traveling down the mountains. I added some blue icing to give the dinosaurs a water source. I trimmed the cake with brown. I then piped in black my godson’s name which I then traced with red and blue icing, two of his favorite colors. I searched many places to find edible decor. I finally found a set that was cheap. the right size, and something he could keep. It took me awhile to place everything where I wanted it, but I finally did and I was happy with the result. Now all I wanted was for one little boy to love it. On the day of his party, the cake remained covered. When cake time came his eyes lit up. Every child and parent wanted cakes. But what matters to me was him. Hearing I love you never gets old. I am not a professional, never will be. But I love it. I love making my kids and godsons happy. And I am trying to pass this passion to my kids. I often out of boredom bake. 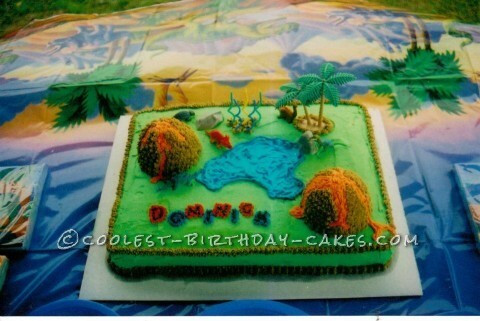 This cake is one of my favorites too.